Home Off Beat	Seen a solar powered monkey? Solar powered products have gained due importance in recent times, their ever increasing demand verifies that environmental awareness has now become inevitable. This âsolar propelled monkey model kitâ is yet another step demonstrating alternative energy principles. 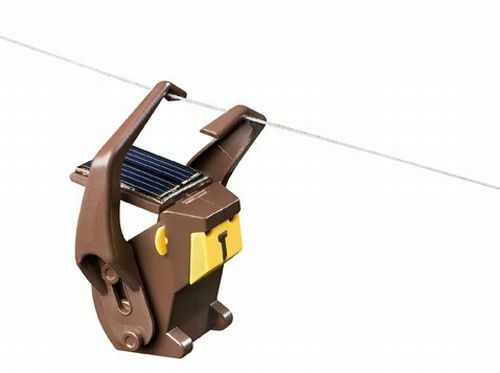 Itâs a solar powered monkey crawling toy for kids that uses sunlight for climbing on the rope. Just assemble the monkey, place it in sunlight, and watch him climb, hand over hand. Bring one home for just Â£14.19, and help join hands in promoting âgreen livingâ. * Kit includes solar panel, motors and gears, and full assembly instructions. * Dimensions approx 17x 8 x 2 cm. * ABS plastic body parts. * Great for teaching and demonstrating alternative energy principles. * Suitable for children 8 and over â may require adult help. * Not suitable for children under 3 due to small parts. 'One': Cycle that can be packed! ← Public chair – Seating on a drop of water!